This range of electronic lock, The Hotel Guess Lock 2000 is from Codelocks, a UK based manufacturer of mechanical locking solutions. The 2000 series Guestlock has a very subtle and contemporary design and is suitable for installation in interior locations such as anywhere in the hospitality sector. Impress customers with a convenient form of access control that will also save you time and money in the future by reducing administration time dealing with older mechanical locking methods. This model provides an excellent and convenient form of access control that will decrease the amount of administration time is required when dealing with access to rooms and security in general. 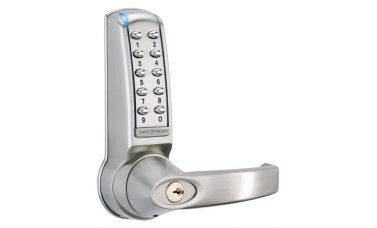 The aim of these models is to make life easier for both the user and owner of the Guest Lock 2000. You will no longer need an assortment of keys relating to different rooms, leaving you with the extra time to focus on improving areas of your business with the compounding amount of time saved not having to carry out mundane and common administration duties. Codes on these models are effectively changed and managed by the master codes. These can be used by staff at the front desk or simply by service staff to enter the room. New codes can be assigned when the guest arrives; up departure you simply cancel the guest code when departing. The design of these models is impressive and will definitely impress your guests with its simple and effective design. Guests are able to use their own personal code which can also be changed without the need to call front desk or management. The added benefit of this is that guests are able to personalize their own security and also not take up precious time of the administration staff. Hi, guys. My name is Darrel and I am the head of the tech team here at LocksOnline.co.uk. Thanks for taking some time to tune in and have a look at one of our product reviews. Today we are talking about Codelock. 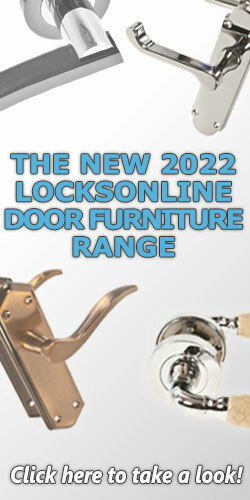 We're talking about their 2000 series and their 4000 series guest locks that they have developed. They have come up with this concept idea. It's quite ingenuitive. The idea is quite simple inasmuch as that it allows you if you are guest into a guest house or a lodge or a bed and breakfast or even a hotel to be able to decide on what code you want for your security on your door. So the principle is quite straight forward and I am going to try to demonstrate it to you today on the 2000 series. So here is a typical scenario let's look at this as being a solution, so you've decided to phone up a hotel or a guest house and you say fine I want to book the room. Fine no problem at all. You are in Room 10 and what you need to do is remember this key identifier, say 121, as an example and when you go to the door you type in the code 121, and then immediately after you put in your four digit code in, whichever it might be, and that four digit code then would be the code that you will use for the period and duration that you are there. So that is the principle. Then once you have left the cleaner or manager can come to the room, reset your code, and then get ready for the next guest. Classic example might be like a holiday home or something like that as well that you could use this if a guest is coming to a holiday home and they want to be able to use a code and then the cleaner comes in at the end to clean the place, resets the code ready for the next person. What it does mean this code is it's not leaving a key under a mat or here's the code and it gets send to other people. So that's one of the key advances. So it's available on the Codelock 4000 and 2000 series as I have mentioned. The one that I have here in front of me is the 2000 series. The 4000 series has a bigger lever handle and is a bit more industrialized and designed for more different types of applications, heavier industrial types of applications. So at this moment in time the door is locked at you can see there. So here I am as a guest, coming up to the door, it's Room 10. This just happens to be on Room 10, and the key identifier is 121. So what I am going to do is I put in 121 and the code that I want is 1266. Okay, so that is now my code and as you can hear the door is now open. Right so whilst I am there, that is all my code is going to be 1266 and I can use that for a time until I am finished and so forth. If the cleaner comes, the cleaner can still get in by using the master code and in this particular case they would press that button and 123456 and that would allow them to get in to clean the room every morning, etc., so you have your code and obviously the cleaner has their code. Now when the cleaner then decides or the manager decides and you have left, etc. It's quite simple. They just press the hash key like that, they type in the code 123456, and then three nines one, two three and now that is now cleared my code of 1266 out of the combination lock. So if I tried again 1266, it no longer works. And now it's ready now to accept the new code of 121 and whatever the code is. Now the prerequisite number I that I have there, 121 can be anything. It can be triple 9. You program that in whilst you set it up. You could have it as being the same as the room number perhaps and put a zero in front or something like that if you want to remember what it is. 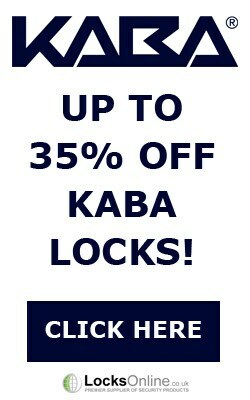 So there you go guys it a range of combination locks that has a specific application. That's a feature of this particular type of setup. 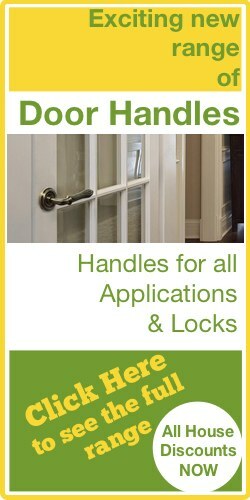 Again, available with a tubular latch, etc. 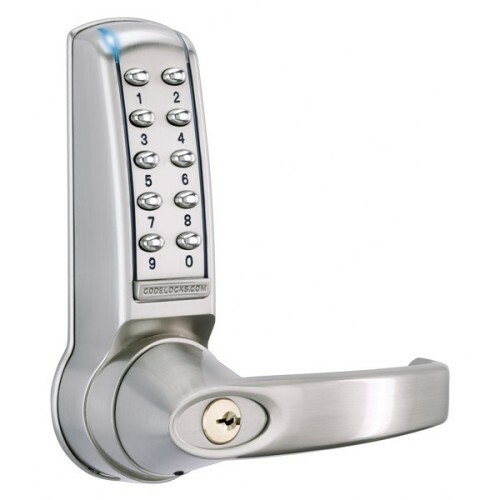 A couple of unique features that you need to be aware of as well is that let's assume that the battery is starting to fail on this particular type of combination lock if you are thinking that you want to fit this. The battery is situated on the back as you can see there. The standard cam on the back of the handle is as standard as you will see in the imaginary that we have and of course the tubular latch, etc., as you will see in the pictures on our website. But one small thing one of the features is well is that if the batteries were starting to fail, etc., you do have an override facility here by being able to put a battery on those terminals there that will allow you to power the device up and get yourself through should there be a complete battery failure and of course on this particular model here you have the key override anyway. So there you go, guys. I hope that's giving you a little more information on how the guest lock works on the 4000 range and the 2000 range or code locks available on our website. 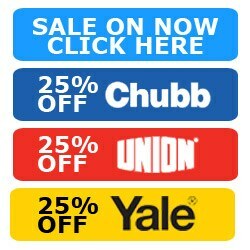 Listen if you need a bit more of advice or you want a little bit more information, by all means, pop us over an email, use the live chat that we have on our website, that's totally free and you can either speak to me or any guys in the sales or tech team. We are all pretty knowledgeable on this product. We would love to see you as a customer, that would be ready good for us. So from me, Darrel, and all of us here at the LocksOnline team, thanks for tuning in and we will be catching you real soon. Bye, bye now. Bye, bye.